There may be one thing missing from the Bryan Brothers’ resume, but more on that in a bit. Winners of over 100 junior titles growing up, the duo from Northern California were not only standouts at Stanford University in winning NCAA team and doubles titles, they also dabbled in the pro ranks by playing select ATP World Tour events, including Atlanta’s Verizon Tennis Challenge on clay in Johns Creek, Georgia, on four separate occasions. It was in 1998 when they earned their first ATP World Tour win at the Verizon, but beating the American tandem of Trevor Kronemann and Dave Randall. Now, Bob and Mike, the 37-year old twins, are back in Atlanta and they couldn’t be more excited. “Atlanta was the site of our first win and kind of our baptism into professional tennis, so it’s always good to be back here.” explained Mike Bryan. This is actually the Bryans’ first appearance back in Atlanta for an ATP match since 2001. 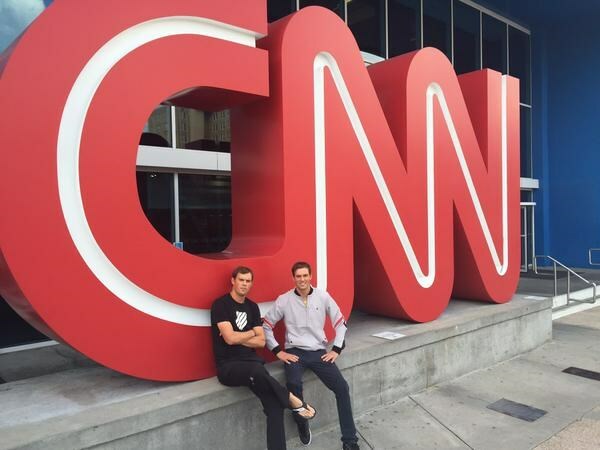 Now with families of their own, the Bryans are still traveling the world entertaining tennis fans with their stellar play, chest bumps and exciting rapid-fire doubles, but when it comes to tennis, their priorities remain the same. "The big goal is always to finish the year number one," said Mike. The twins always draw big crowds wherever and whenever they play, especially in America, and with the metro Atlanta area being a hotbed of doubles tennis, sell out crowds could be in the cards for Atlantic Station this week. “It always helps to have the home crowd support on your side,” admitted Bob, when asked about playing in the U.S.